With those words we affirm that all was not lost, that death did not win, because death never wins! We need to hear these words “Christ is risen!” We need to affirm to ourselves and to each other and to the world that there is hope . . . there is always hope! Pope John Paul II said, “Do not abandon yourselves to despair. 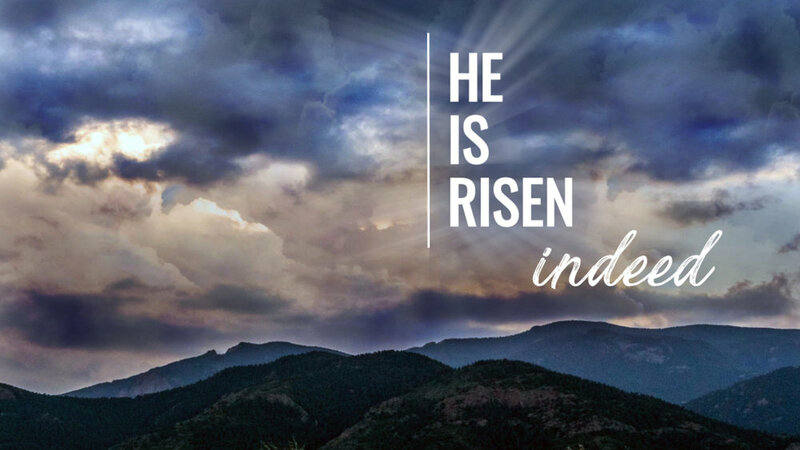 We are the Easter people and hallelujah is our song.” We are Easter people as we live each day in the hope that comes with the resurrection of Jesus Christ. But we don’t just stay as Easter people. We may live this side of Easter but there is so much more for us to be. Thirty-nine days after Easter (the 40th day of Easter) we celebrate the Ascension of Jesus Christ (did you know Ascension Day is always on a Thursday?). On this day we are reminded that Jesus left us with work to do. We are to continue the work Jesus started during his life. The church has been created to continue the mission of Jesus in word and deed and sign and as followers of Jesus we must reflect his values and behaviors. Ascension Day reminds us that we have work to do. And then, ten days after the Ascension, we land on the Day of Pentecost and we are reminded that this work we have to do is doable because we go equipped and empowered by the Holy Spirit. We are Easter people in that we do not stay at the open tomb, we run back to our friends and we tell them that “Christ is risen!” And then we get busy being the church! Because we are oh, so much more than Easter people!